BSF Freestyle Team focuses on carving skills, body stance, pole plants, vision and how to take flight in the moguls and land safely. At the Devo Comp level, we put sound fundamental skills in place. The weekend warriors in this program will train with the Full-Time Team and focus their time on becoming contest ready. For the skier who loves the terrain park. With certified coaches, athletes will focus their time on improving skills on rails, tabletops, gaps, and all of the features that the park provides as well as Bridger Bowl's terrain. Younger athletes (as well as older athletes with other commitments) generally train 2 or 3 days a week. As skiers progress, they may move up to 5 days a week. 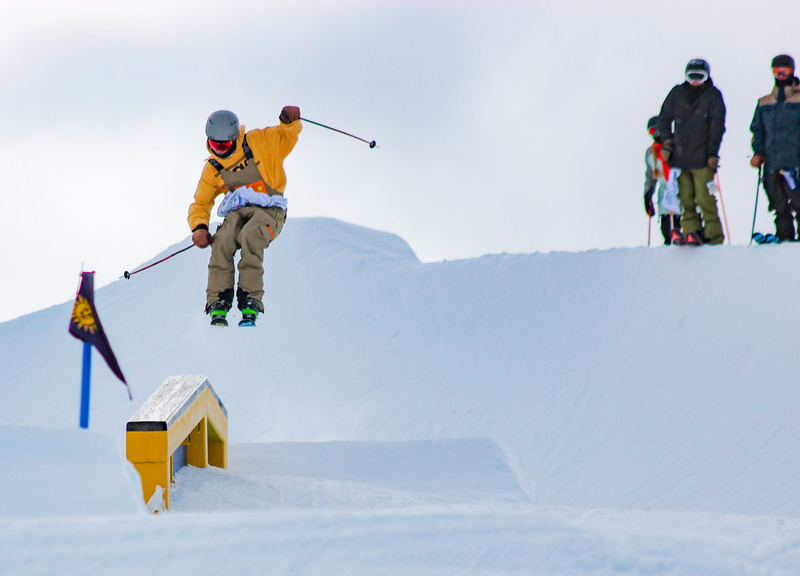 Devo Comp is often U15 (ages 13-14), but this is based on ability more than age at this point. Ask a program director if you have questions about which program is right for you. You will choose between the freestyle team and the freeskiing team (costs and all options are the same). Baseline testing is recommended this season. In the event of a concussion, it provides everyone with a more complete picture of the athlete's health. To learn more click here. Dryland begins September or October, depending on your program, and on-snow training begins in early December each year. Look for additional camps during summer, fall, and holidays. Additional conditioning program also offered at the Ridge Athletic Club. Fall: Mon/Friday 4-5:30 p.m. Bogert Park. Winter: Wed 1-3 p.m. and Sat/Sun 9:30-3 at Bridger Bowl. Fall tramp and summer water ramp camps available for a separate fee. Winter: Mon/Wed/Fri 1-3 p.m. and Saturday/Sunday 9:30 a.m.- 3 p.m.
On contest weeks, the athlete will receive full-time benefits, including day-before contest training at the venue and video review. As a member of this team, you're part of BSF's Junior programs. This means you're eligible to apply for need- and merit- based scholarships. Learn more HERE. ‍ Check with your coach if you have questions. ‍Ages 6-14: one pair of twin tip skis. Eye level with a variation based on height weight and skill. Boots: Should fit properly with a soft, even forward flex. Poles: With pole tips in snow, arm should be at 90 degrees. Rescue Beacon: Given the terrain and requirements for certain areas at Bridger Bowl, rescue beacon and confidence in its use is recommended. Team night at Round House & Chalet is the 2nd week in November with a discount for athletes and parents. 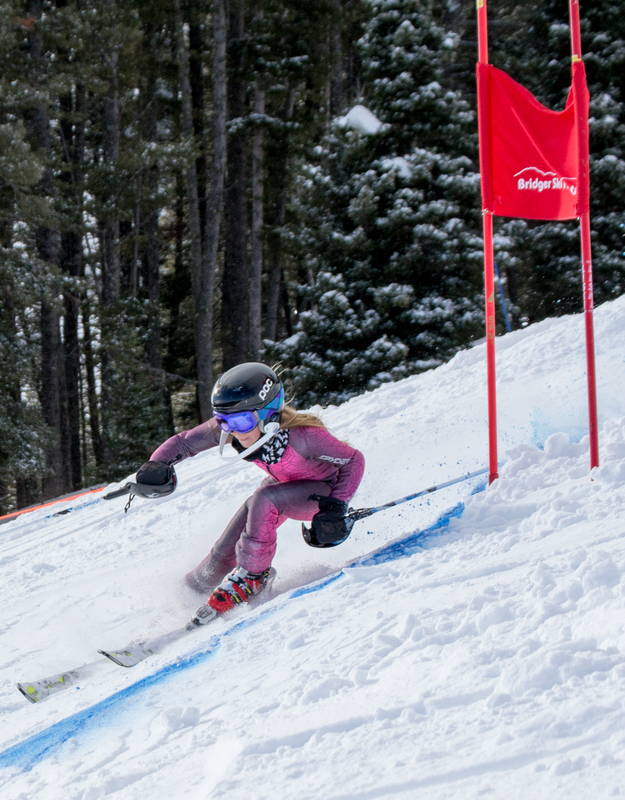 Races: Parent/volunteer assistance with races is needed and is a fun place for parents to learn about ski racing. No experience necessary; we typically provide lift tickets for volunteers who don't have a season pass. Look for info in emails. There’s a bigger picture to what BSF teaches skiers, when and why. BSF’s programs are consistent with the U.S. Ski & Snowboard's Long-Term Athlete Development (LTAD) Systems. 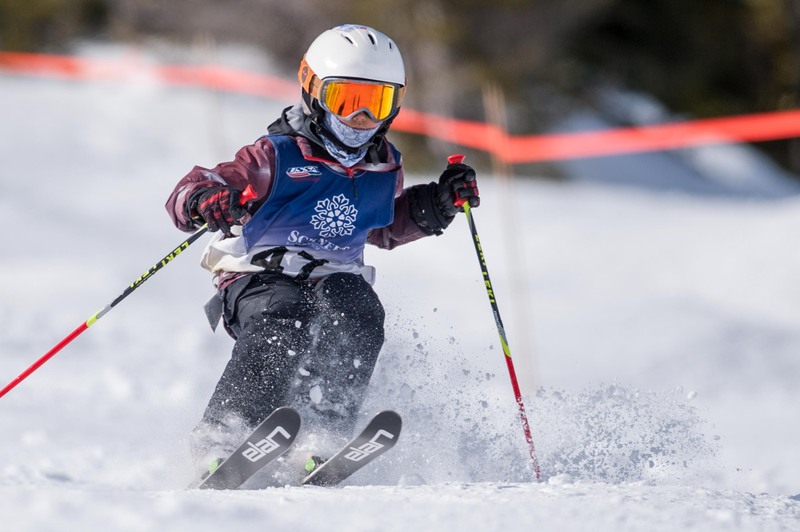 This makes it easy for your child to progress through our programs—from Introductory, to the Development Teams, to the competitive teams, and even on to skiing as an adult athlete. Here's a brief look at the development phases. 60% all-mountain skiing. Continue to participate in many activities and sports. Begin to identify with primary vs. complementary sports. Start to incorporate focused dryland training 1-2 days per week. Develop aerobic conditioning with increased games and training. Enhance body awareness, balance, and spatial anticipation through games and drills. Develop precision of basic skills while learning advanced techniques over a variety of terrain and features. Can execute linked, carved long radius turns on easy terrain, and is learning to carve medium and short-radius turns on advanced terrain. Exploring inverted trampoline skills. Sound fundamental technical skills are in place. Skills for all freestyle sports are introduced. Athletes should be comfortable in all aspects of freestyle terrain. 30% all-mountain skiing. Continue to participate in complementary sports while identifying clear goals in primary sport. Physical fitness is becoming an integral part of the season. 1-3 sessions per week. Increase hours of training with varied volumes and intensity. This is the tactical stage where skiers apply technical skills to mogul-course-specific tactics. Begin event-specific technical and tactical skills. Maintain technical skills through the growth spurt and refine tactical skills. 20% all-mountain skiing. Use complementary sports and activities for variety and to enhance aerobic conditioning by increasing training volume in all activities. Implement periodized training with varying volumes and intensity. Training is now essential to seasonal programming with 2-3 sessions per week and off-season fitness plans. Both a Technical and Tactical Stage. We focus on refinement of application of technical skills to mogul-course-specific tactics. Refine event specific technical and tactical skills (takeoffs, landings, stance, angulation, etc.) to achieve desired outcome. Begin advanced aerial skills in a controlled environment. 15% all-mountain skiing. Use complementary sports and activities for injury prevention, avoiding burnout, and to maintain all aspects of physical fitness. Year-round, periodized training plans with varying volumes and intensity are essential to prepare for full competition and training loads. Mastery and Innovation stage. Event/discipline-specific technical and tactical mastery. Innovative in discovery of new techniques and tactics. Mastery of technical and tactical skills based on the individual's freestyle discipline of choice. Consistency of training and progression of advanced skills will be mastered in a competition environment.